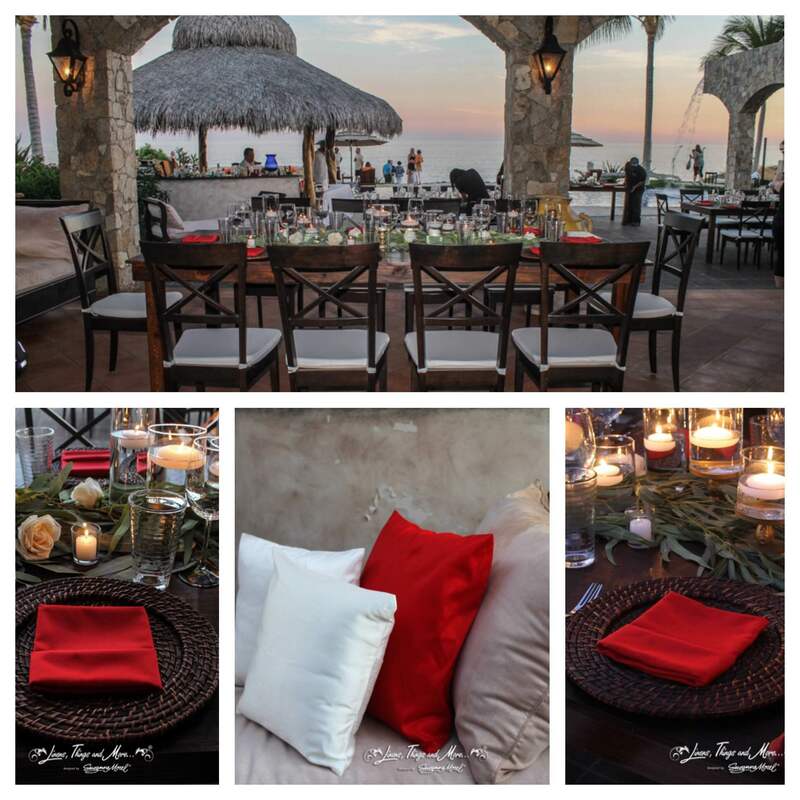 As a décor design and rental company, Linens, Things and More… knows all about the special occasions our clients love to celebrate in Los Cabos. 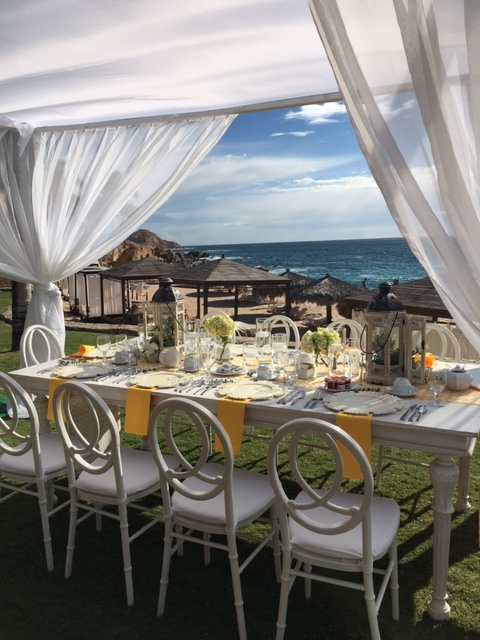 Of course, the most popular Cabo events are destination weddings, but can you name any other reasons to host a party in Los Cabos? If you’re thinking of proposing to your partner, you may already have plans to pop the question on your Cabo vacation. What could be more special and romantic than surprising your love with a private dinner for two? Our décor designers will help you choose the perfect setting, complete with candlelight and flowers, and a private chef can serve each exquisite course to your intimate table for two. If you really want to make your proposal over-the-top, we can recommend a fine musician to play as you finish your meal, and of course, a photographer to capture the big moment! If you’re celebrating a milestone birthday/anniversary in style, then a private dinner party with a dozen or so of your closest friends and family is a great way to make memories on your vacation! Since you already have everyone together in Los Cabos, it just makes sense to host a catered celebration at your villa. Our design team brings the décor to your location, makes sure your party runs smoothly, and quietly removes everything once the party is over. We do everything from simple dinner party set-ups with a few napkins, chargers and flowers—to black tie gala dinners with our full design team! A corporate retreat in paradise is the ultimate way to thank your hard-working employees for a job well done! 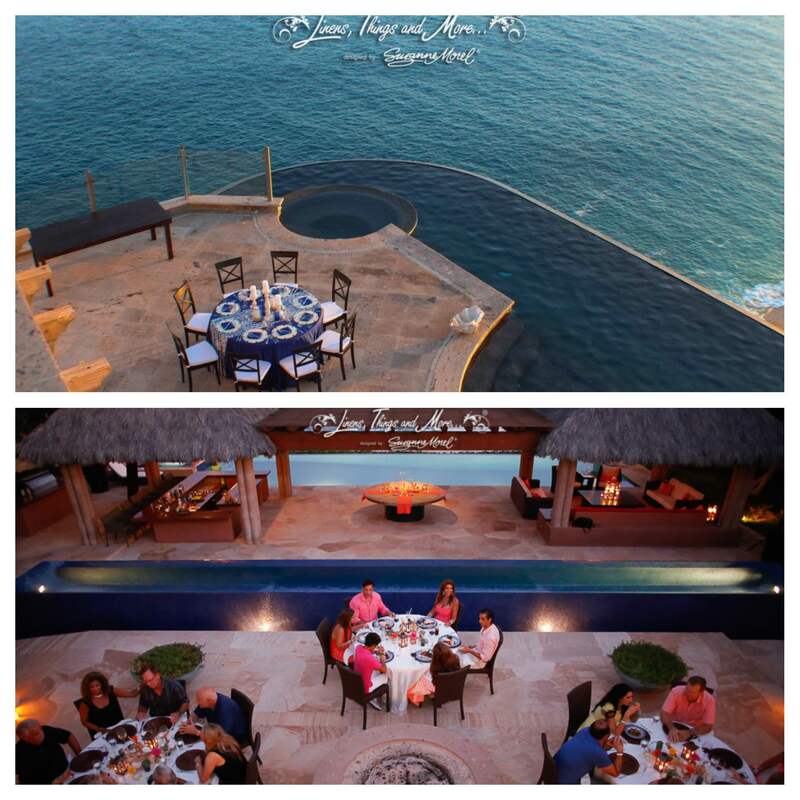 While you are here in Los Cabos, consider renting a private villa for your employee appreciation dinner or awards dinner. Our team can incorporate your company’s theme, logo and colors in an event for 30-50 that will really impress your staff! 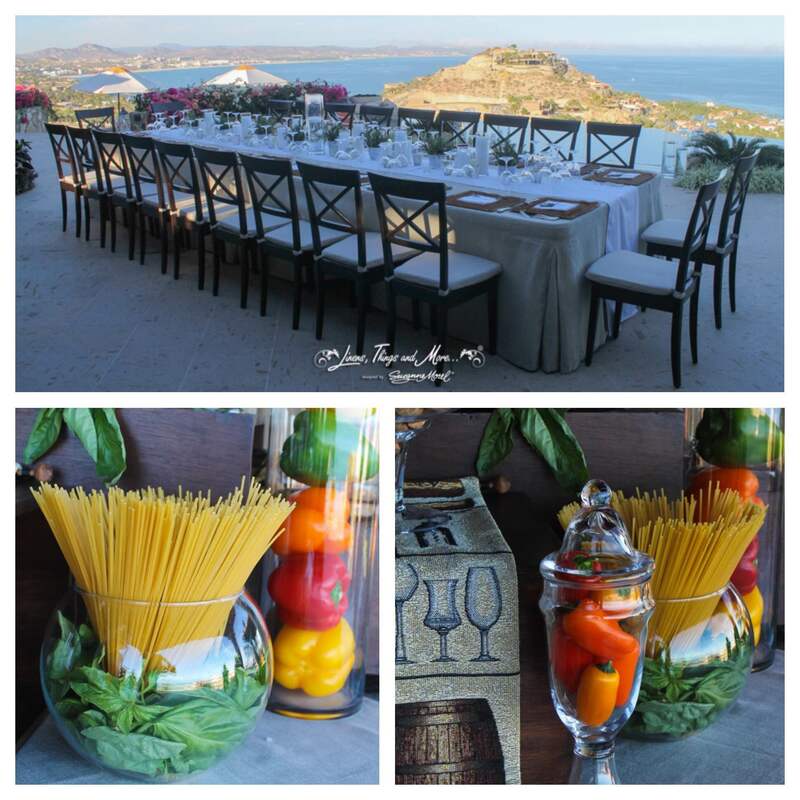 We recently did a corporate dinner party at a beautiful private villa. The company hosted three consecutive nights of dinner for 50, and they took advantage of the space during the day with spa services by Suzanne Morel Face and Body Care. With sweeping ocean views, massage treatments and beach access, their relaxing spa day followed by a dinner party was simply perfect! 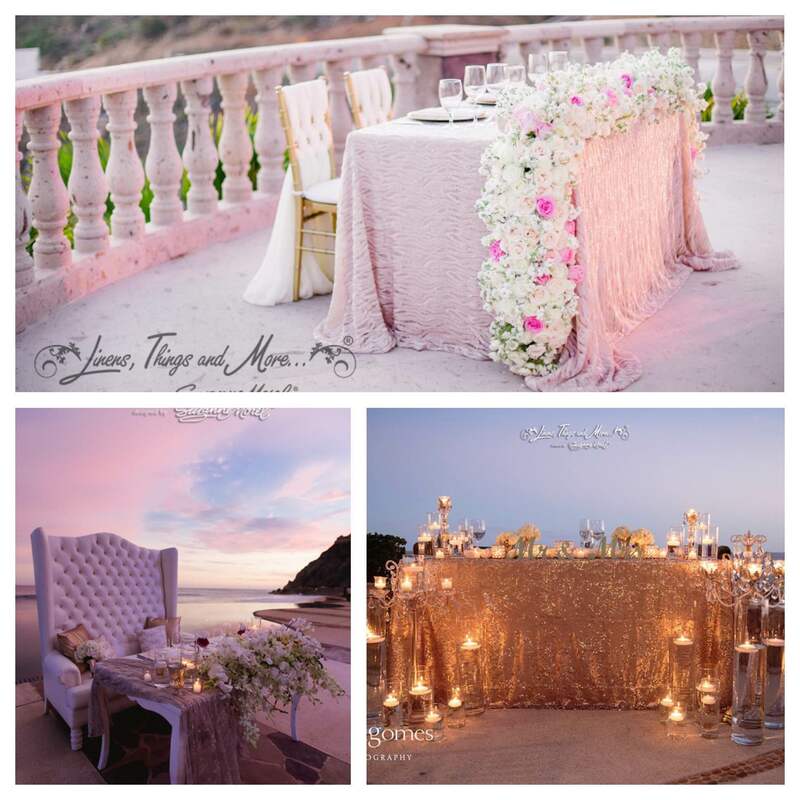 If you’re planning a destination wedding in Cabo, then your guests will be in town multiple days. Why not send them off after the wedding day with a farewell breakfast, brunch or luncheon? A daytime set-up for 10-20 guests is light, fun and thoughtful. Having a super intimate wedding of only 10 or fewer? 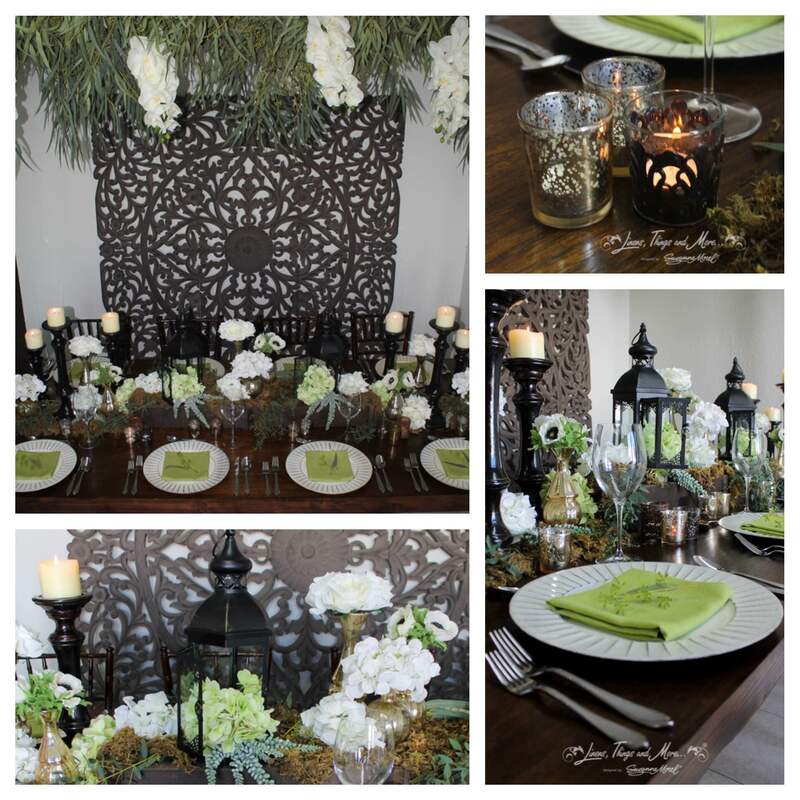 This set-up can be dressed up a bit for an intimate rehearsal dinner with your wedding party. Finally, no matter what you’re celebrating in Los Cabos, a surprise party is always a welcome occasion! Plan a birthday dinner for your sweetheart, a surprise engagement dinner or a retirement party and your guest-of-honor will be unexpectedly delighted! We recently did the first of several mock-ups in the studio in preparation for an upcoming surprise birthday party. Our team perfects every detail well in advance of your special day. We’re always happy to do a mock-up and send you photos so you can see the design as it takes shape—this is especially helpful when you’re planning from far away! 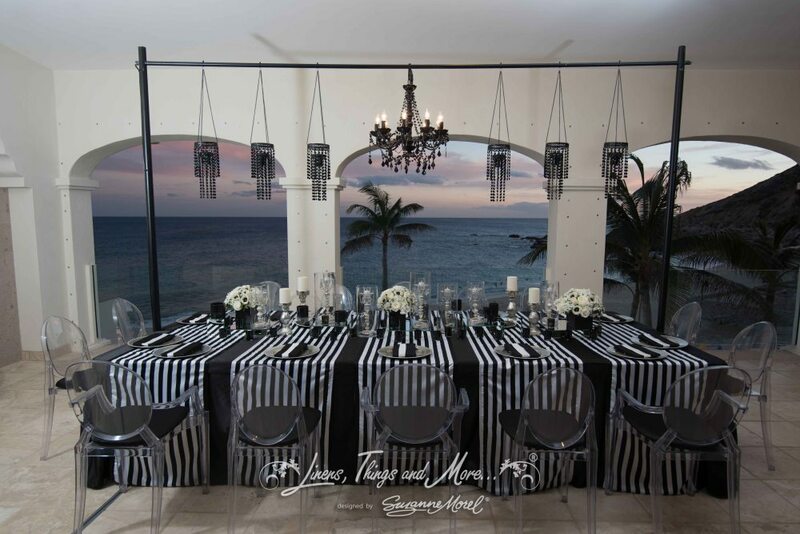 Call us today at (619) 819-9180 to inquire about our design and rental services for your next celebration in Los Cabos! This entry was posted in Accessories and decor, Cabo event design and decor, Cabo Wedding planner and coordinator, High end set-ups, Special Event Decor in Cabo, Weddings and corporate events decor and tagged 50th birthday party in Cabo, Cabo anniversary party, Cabo birthday party, Cabo corporate retreat, Cabo event design, CABO EVENT RENTALS, Cabo party rentals, Cabo wedding proposal, Cabo wedding rentals, company party in Los Cabos, dinner on the beach in Los Cabos, intimate rehearsal dinner in Cabo, private chef Los Cabos, private dinner Los Cabos, surprise party in Cabo, wedding brunch in Cabo, wedding farewell brunch ideas.